process this is considered as the most vital step. 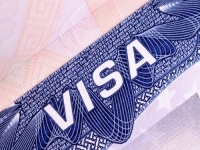 Getting a student Visa is a lengthy procedure but not a tough one. Efforts made to get the student visa are considered as worthy because it fulfills a student’s dream to study in a country like USA. The university for which the student has applied;issues Form-i20, the student should proceed to apply for Student visa. The student applying for visa should not take a date more than 120 days before the date of Program start date on the Form-i20 issued to him.